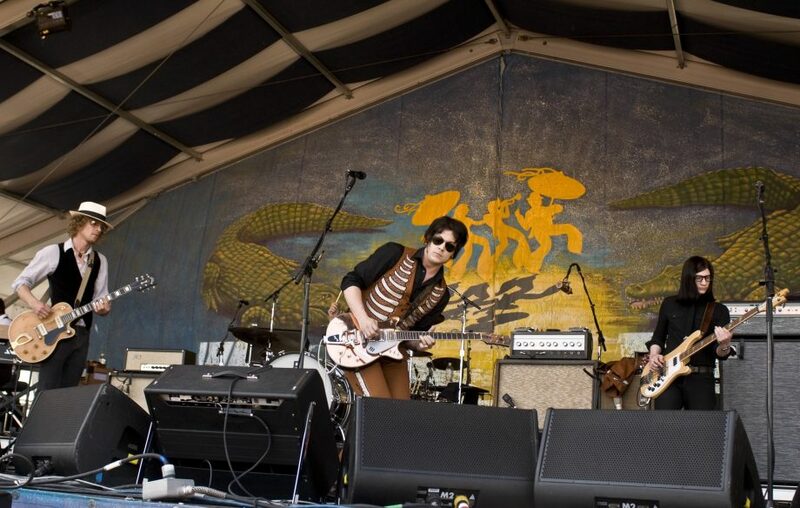 One of the all-time RtBE Personal Favorites The Raconteurs have returned with a new album and a full North American Summer tour which will see them play Woodstock 50 and a few blocks away from the RtBE clubhouse at Hammerstein Ballroom. The new album is titled Help Us Stranger and will be released on June 21st this year. There will also be a Third Man Vault edition of the release with unique vinyl and bells and whistles. The group is one of the best rock and roll acts when they are playing and while Jack White is the headline, the rhythm section of Patrick Keller and Jack Lawrence from The Greenhornes and co-writer Brendan Benson all bring vital parts to this outfit making it a true group, not just a White side project. We rated their last album Consolers of the Lonely third overall when we ranked albums from the last decade for Glide Magazine.